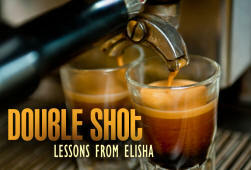 Tomorrow, I am bringing a message called Double Shot: Lessons from Elisha. I hope, if you are in the area, you will come by to worship with us. If you are out of town, feel free to join us online to hear the message – sorry, it won’t be posted until Monday. Details about our two locations and service times can be found by clicking here. As yesterday’s post indicated, I spoke last night at Salem Community Church, a Haitian/American faith family. Letha and I enjoyed a truly amazing experience. 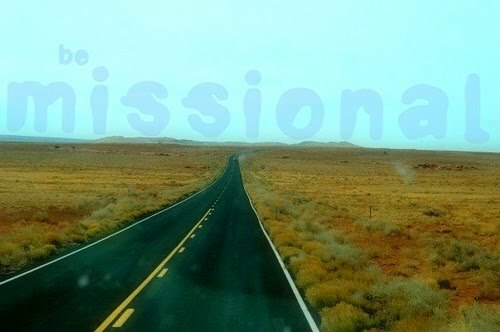 People who are familiar with suffering are passionate about worship: I was put to shame in regard to passionate worship. These people are serious about being in God’s presence and seeking for His help. When it came time for prayer, they were operating on a different level. I couldn’t help think that my need wasn’t as desperate as theirs. This is not a cultural consideration; they don’t pray with fervor because they are Haitian. They pray this way because they need God so badly. The things they have seen and experienced take them to a different place. I know little of that kind of desperation. The Haitian/American community responds when you care. I felt a genuine connection with them when I told them that I am going to Port-au-Prince in August to serve earthquake victims. They trusted me and I found favor with them. The rest of the evening was impacted because of my announcement. They knew I cared. Language barriers can be crossed. Several of the members do not speak English and I did not preach with an interpreter. When I read a scripture, it was projected on the screen in Creole. Still, many of the people greeted me personally in their language. There seemed to be no gap. They allowed us to feel at home among them. I am better prepared for my missions trip(s). I am leading a trip with a team of eleven to Guatemala on Monday. In August, I am leading 8 pastors to Haiti. My worship experience last night was part of the getting ready process. Special thanks to Pastor Serge Jerome and the Salem Community Church people for their warm hospitality and graciousness. I am better because of my time with them. I have the privilege of speaking at a local church this evening. Salem Community Church and their Pastor, Serge Jerome has invited me to be a guest speaker in their series of special services celebrating the completion of their new building. This faith family is comprised primarily of Haitian Americans. I am honored to be able to celebrate with them. Anyone in the Lake Worth area that would be interested in attending is welcomed to do so. The address is 3200 Roberts Lane, Lake Worth, FL, 33461. The service begins at 7:30. Congratulations to Pastor Jerome and his congregation! One of the consistently frustrating aspects of local church ministry is the inability we possess to help people who cry out for help but do not embrace the ministry of the church. Especially troubling are the people who call or email us asking for help but, they are not involved in the life of the church. I’m not speaking of people who do not know better. There are numerous people who have been around for years but never commit. It is nearly a daily occurrence for me or Letha to get a call… someone is in trouble, hurting, discouraged, afraid, confused; and we try to pray them through the issue they are facing. A vast majority of the time, these callers do not attend worship events regularly, if at all. Many times, the very issues that are troubling them have been addressed in a recent worship services, but they were not present to hear God’s Word and respond. It is painful to want to help but not be able to help. A selfish part of me gets aggravated because these people expect my individual time when they don’t care enough to join the family. It is a one-sided relationship, in that, the church must be there for them but they are not there for the church. Then the practical side of me kicks in and I realize that if I spend all of my individual time with those who do not attend our services, I will have no time left for those who are part of the regular events. We are fully aware that we are called to reach out to the hurting and the marginalized. Believe me; our church is full of people like this. It requires much patience in order to continue to offer help that is rejected. Then I am reminded how long it takes me to “get it” sometimes. God is patient with me. At the end of the frustration is the realization that we are grace-based and will continue to try to help people; whoever needs it. There does come a time when we have to shoot straight with people and not coddle them – we refuse to use our resources to cater to people who remain uncommitted to Christ and His church. Sometimes, the best way to help them is to tell them to grow up and do the right thing. But we will never withhold help from desperate people. My dad is 85. He has had a bad heart for 31 years, including 2 triple bypass surgeries. He was supposed to die in 1979 from heart failure. He worked for decades in a filthy machine shop, running dangerous machines. For all those years, he breathed the exhaust that spewed out, got drenched in oil and beat his hands to a pulp. He got up at 5:00 every day and worked in miserable conditions. I remember him coming home and he smelled like burned oil. He worked while sick and in every kind of weather. Because of his years of hard manual labor on outdated machines, he had the strongest grip of any man I had ever met. I describe him as tough. He was tough because his family needed him to be. We have a lot to learn from his generation. I don’t know how much longer my dad will be around. At 85, every day is a gift. But he is so tough, my brothers and I joke about how, one day, he will bury all of us. So here is a happy Father’s Day wish for him.